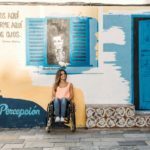 As a world traveller, having a lightweight wheelchair is so essential to me and helps with maintaining my freedom and keeps me from becoming stuck in certain situations. Currently I am travelling the world with a wheelchair which is only 8kg in weight, and the only reason I know that off by heart is because the check in staff at just about every airport I visit, always ask “how much does your wheelchair weight sir?”, and so I need to be prized and ready to reel off that and any other piece of information they might require before handing me my boarding pass! If it wasn’t for the fact that my wheelchair is so light, then who knows, in certain far flung countries I may have even been asked to pay a little extra for ‘baggage allowance’, you never know with these things, but thankfully, that’s never quite been the case. Having a lightweight wheelchair has enabled me to do some pretty hair raising things. From flinging my wheelchair onto a moving bus in Vietnam, to dragging it up 20 flights of stairs in an apartment block in Bulgaria. If my wheelchair weighed any more than it did then I’d be pretty screwed. 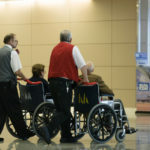 But aside from all that larking about, there is one critical point which is most advantageous when travelling with, or just generally living with, a lightweight wheelchair and that is that it doesn’t cause too much excess damage on your shoulders when self-propelling. Rolling around in a particularly heavy wheelchair can have a seriously negative affect on your arms and shoulders, as not only are you pushing your own weight and the weight of any bags you may or may not be carrying, but you’re also having to shoulder the burden of all that excess weight which is attributed to your wheelchair… which with a lightweight wheelchair simply wouldn’t be the case. So why did I opt for a lightweight wheelchair? 1.My first thoughts when seeing the current wheelchair that I own was that it looked stylish. This alone made me want to have it, but with a hefty price tag attached to it, I had to somehow find a way to convince my parents that it was the right chair for me. 2. 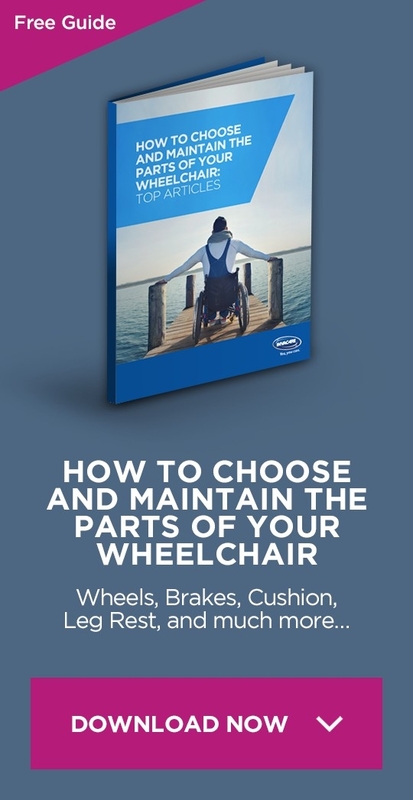 Luckily for me, at that point in my life, I had just passed my driving test, and the guy who was helping me choose a wheelchair had begun to explain to both me and my parents that having a heavier wheelchair would have a great impact on my shoulders and chest when attempting to lift the wheelchair across my body and into the passenger seat when driving my car on my own. 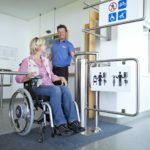 He explained how a lightweight wheelchair would protect my shoulders from any unnecessary damage – and with that, we were sold. 3. 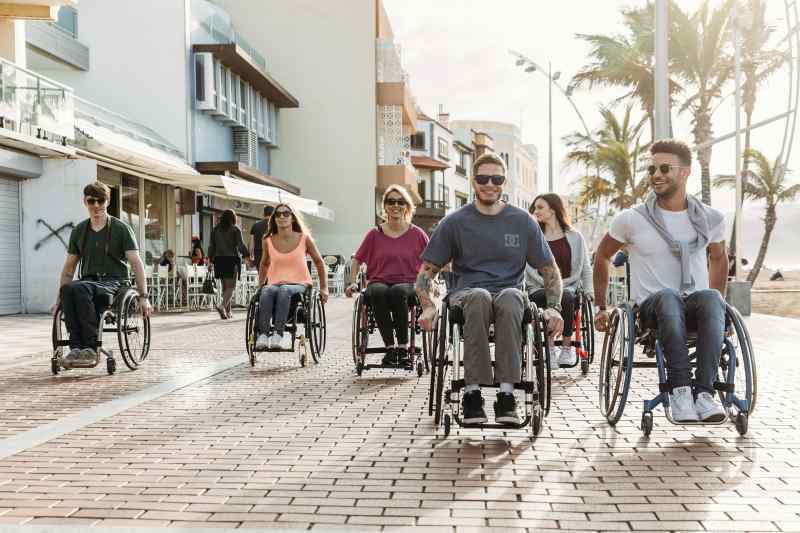 Another added bonus which came with buying a lightweight wheelchair was that in order to make it so lightweight – specially designed materials that have been developed and tested over time have resulted in sturdier yet lighter wheelchairs. Thanks to these types of changes I’m pleased to say that my wheelchair is still going strong, almost a decade since I purchased it. Never in my life had I had a wheelchair that lasted more than three years, until I chose to go with a lightweight option. Sure there’s been times where I’ve had to replace casters, and there was that one time where not only did I lose a front wheel in Switzerland, but my whole footplate snapped off due to the sheer brutality of the Alps – but it all comes with the territory of being a world traveller!